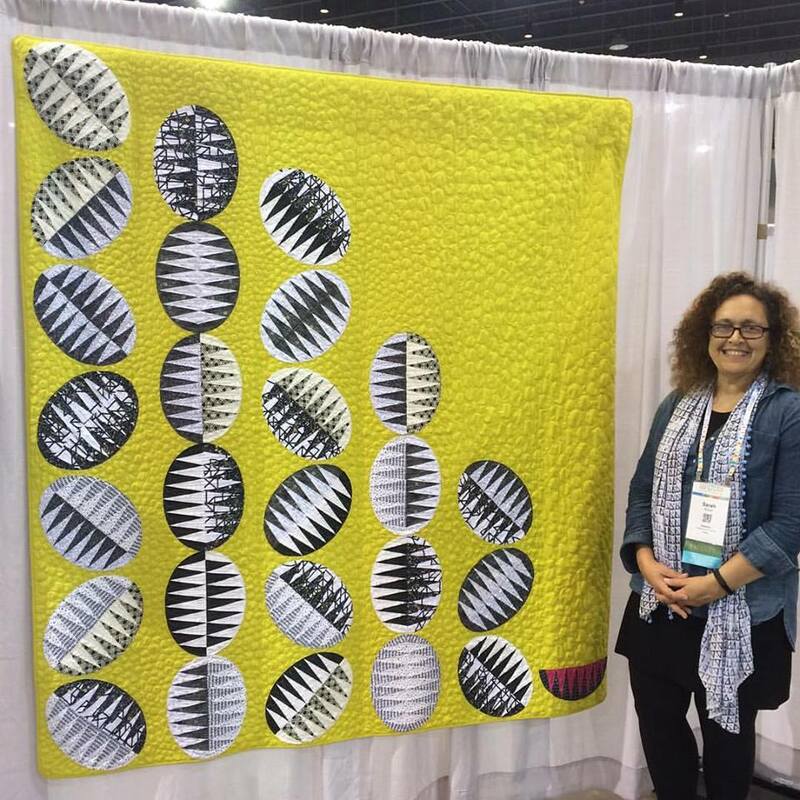 Philadelphia Modern Quilt Guild: PMQG Takes On QuiltCon! 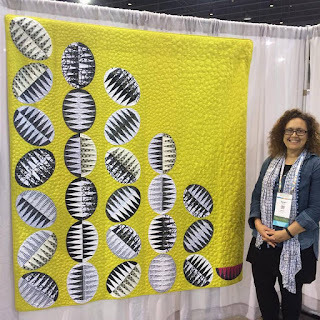 Can't get enough of QuiltCon? Neither can we! Here's another post by a PMQG member about the trip to Savannah, GA. The PMQG was well represented at 2017 QuiltCon East in Savannah, Georgia as many members made the trip down. 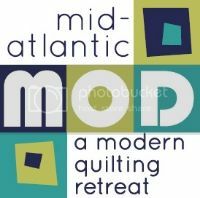 It was a time to reconnect with friends made at past shows and Mid-Atlantic Mod Retreats. There were plenty of lectures to attend and classes to take. The message board with people looking to exchange classes was quite lively! But, of course, the best part was the display of quilts. There was wonderful inspiration all around. 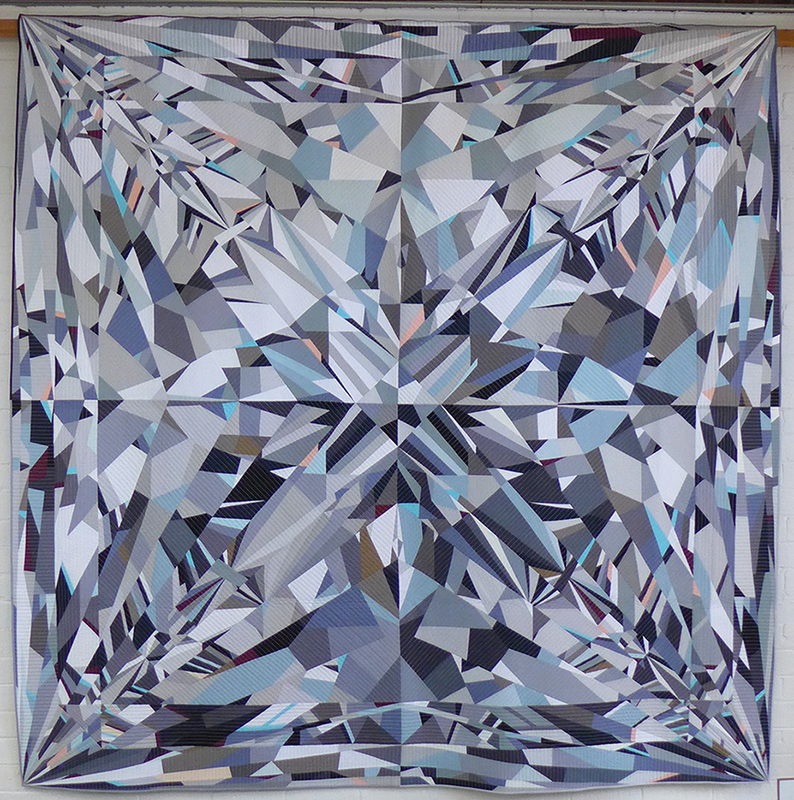 Winner of Best in Show, bling, pieced and quilted by Katherine Jones, was a true beauty that was technically astounding and glittered under the lights even though it was made of cotton. 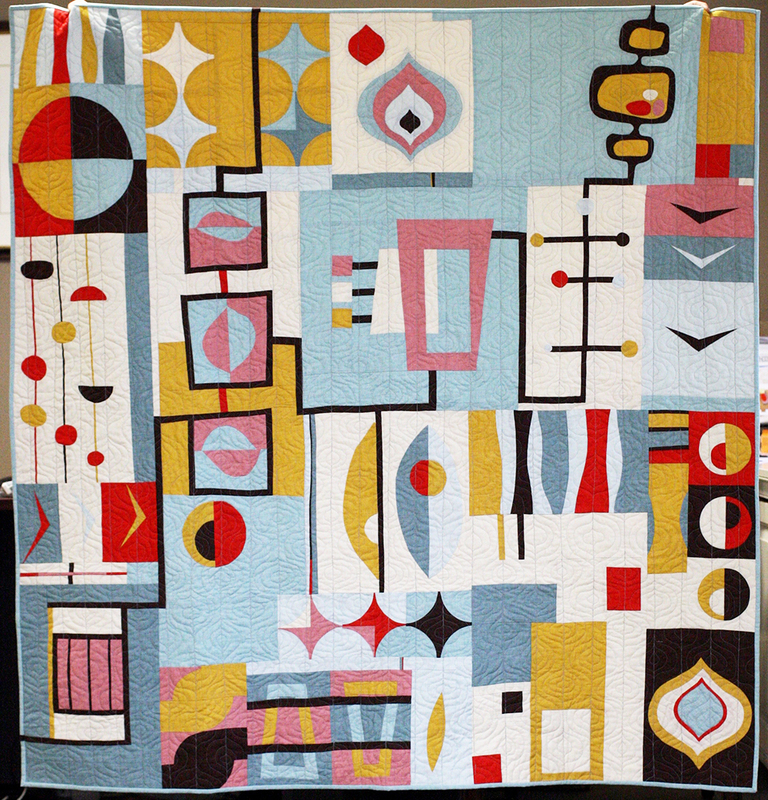 The progressive quilt, Organic Mid-Century Mod, from Mid-Atlantic Mod won third place in the Group and Bee category. 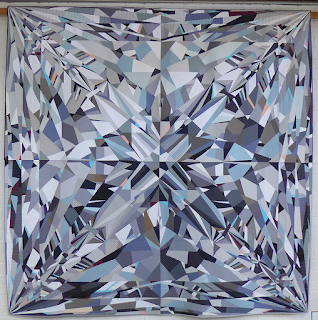 PMQG members Nicole and Michelle were part of the group that created this quilt! Sarah was a first-time instructor and her students were in for a fun treat – Releasing the Geese! 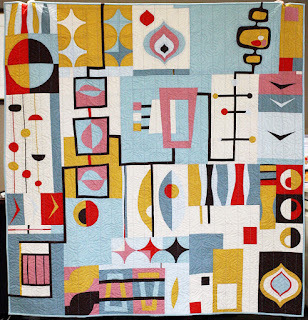 She also had a quilt hanging in the show, Tiger Moon, Tiger Melon, that those of us at the Guild fall retreat watched as it grew from a few interesting pieces to a finished top. There were several "Andrew sightings" as he and Chad were hard at work behind the scenes helping the show, lectures, and classes go smoothly. 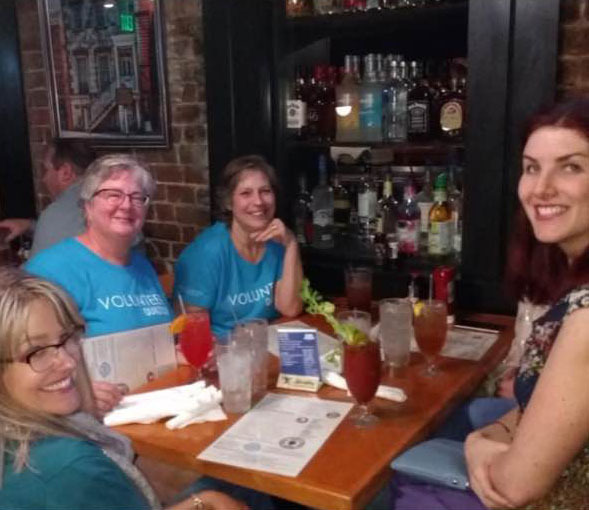 A shout-out to PMQG members Ruth and Elise, who were SUPER Volunteers. There was plenty of shopping with the vendors at the show, even for those of us who vowed not to be tempted! A number of fabric companies had free goodies to give away, and displayed the new lines coming out soon. The shops along the riverfront lured us in as we strolled to dinner or to a favorite ice cream shop. 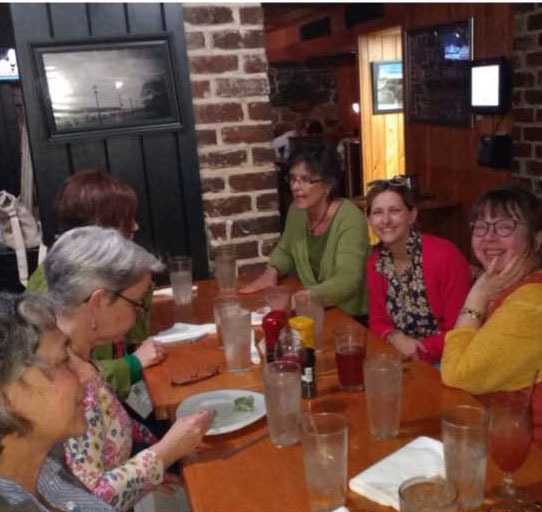 We had a PMQG group gathering at Tubby's Seafood Restaurant where we all compared notes on quilts at the show, places we had visited, and famous quilters we had seen. 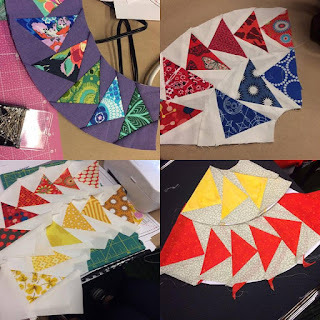 The next QuiltCon East will be in Nashville, Tennessee. A Guild Road Trip anyone? I'm not sure I can ever go back to any other place, after an experience like this. This place is appropriate in a space that lends so much gravitas to events. The design of San Francisco event venues is sharp and environment is unbelievably good.